The famous storyteller Aesop once wrote “Outside show is a poor substitute for inner worth.” However, in current times, the focus on how we look outwardly is often more intense than our focus on inner worth. Television commercials, our friends and co-workers and society in general all gear us to think this way. When a seeker of God starts sincere spiritual practice as per the six basic principles, he or she experiences that true lasting happiness can be found within. Along with this they become attuned to subtle vibrations and naturally make choices that increase the spiritually pure Sattva component in and around them. The clothing we wear also emits spiritual vibrations, so the way a seeker of God dresses also changes as they make spiritual progress. This is because they naturally choose more spiritually pure clothing. 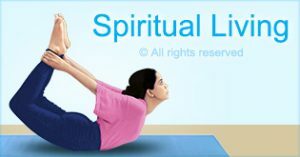 Similarly, a seeker who chooses to wear spiritually pure clothing will imbibe Sattva from them and this will help to provide energy for their spiritual progress. 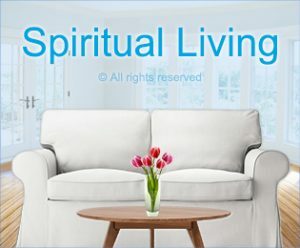 In this section, you will learn more about how the choices you make regarding how you dress affect you at a spiritual level. 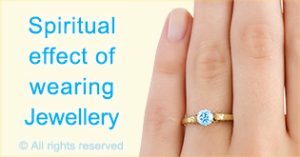 Jewellery can serve as a memorable gift, as a status symbol and more, but did you know that jewellery has a spiritual effect? Read how the design, metal and gemstones used for jewellery affect the wearer. 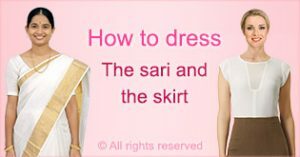 Aura and energy scanners were used to study the effect on the chakras of seekers of God after wearing a sari vs. a skirt. This research study illustrates how the style of clothing we wear has a significant spiritual impact. Do you have a favourite colour? The colours we wear affect us spiritually. 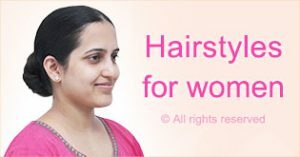 Learn which colours to wear to imbibe maximum spiritual benefit. In today’s day and age, cotton may seem like an old-fashioned material to make clothing out of. However, our spiritual research shows that wearing cotton clothing gives significant spiritual benefits. 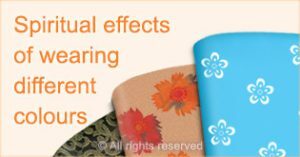 Nylon fabric has gained popularity but our spiritual research shows that there are negative spiritual effects of wearing nylon fabric. Positive and negative spiritual energy can affect our clothes and give them a positive or a negative smell. Learn how to identify these smells and what to do about negative smells that have a spiritual root cause. Wearing makeup is widely considered to make a woman more attractive, but does doing so really add to her beauty ? This article takes a deeper look at makeup and its spiritual effects. How do you choose what you will wear for the day? Do you dress to impress others or do you just choose the first thing you find in the wardrobe? Our spiritual research shows that the way we dress has a spiritual impact on us, so it is in our best interest to make spiritually positive choices regarding it. Up to 70% of the energy we gain from spiritual practice can go into nullifying distressing energy that affects our clothes and belongings. Such distress can be detected in the form of a foul smell around the clothes or object. Learn how to overcome these distressing vibrations to conserve your spiritual energy. 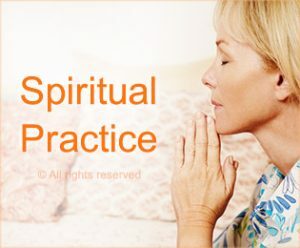 Discover how spiritual living can help us to imbibe the maximum benefit from our spiritual practice. Do you prefer to wear your hair open or to tie it into a bun? The way you wear it can have a positive or negative spiritual impact on you. Our fast-paced lifestyles can make getting a solid night of rest difficult. 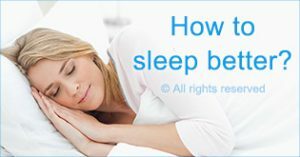 Taking appropriate spiritual measures can help you to get better sleep.